Here we are in April and thankfully having some April showers to help the grass along. As we now have a hosepipe ban here in South East its very welcome as have lots of grass seed and plants that need it for our other venture the Wedding Reception Venue. Our first foal arrived on Saturday 7th, a filly out of a mare that belonged to one of my Dads oldest friends, his family asked if we wanted to keep the 2 mares of his as they had always been here with us. Of course we agreed, Sam who they belonged to had always wanted a filly and of course thats what she had now he isn't here to see. Although I'm sure him and my Dad are looking down on them all keeping watch. 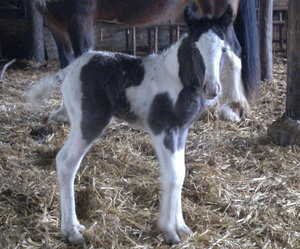 This is first foal we have from Thomas the hairy homozygous stallion we bought when he was 8 months old, he is now 4 and not quite the height we hoped but his babies very pretty and he has a nice bit of bone so should be good types of foals. The 2nd foal who we have named Worsenden Mariette (from Darling Buds of May) is out of Willow a filly we bred by King, she is 3 this year and this is her first foal, again by Thomas and is very pretty with long legs. 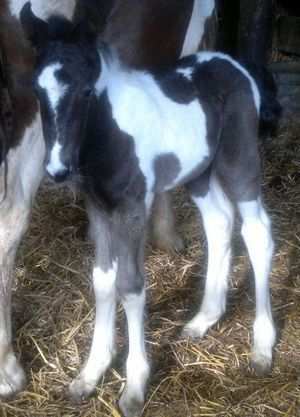 So we are off again on another year of foals, all this years will have names beginning with M, so all suggestions welcome! Have at least 3 mares who shouldn't be long before they foal and one will be by King which I am very pleased about as wasn't sure the old boy managed much last year lol. In total we hope to have 12-14 mares foal this year, could be by Thomas, King and Shoey so an interesting year. We are also about halfway through lambing so several little ones about, a lovely time of year.